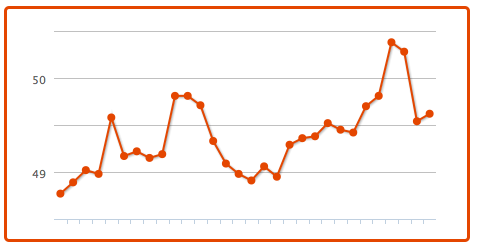 Tip-Tap-Typing on the Lunatic Fringe: Klout? Or Clobber? Recently I performed a rather unscientific test. See, there's this website called "Klout" that I've heard mentioned several times on Twitter. It claims to be able to measure things like "impact" and "reach" in social media, ie. Facebook and Twitter. Since I'm hopeless on Facebook, I decided to take a look at my "Klout" on Twitter. See that sharp nosedive near the end? That, my friends, is what me getting involved looks like. I admit, I laughed when I saw it. 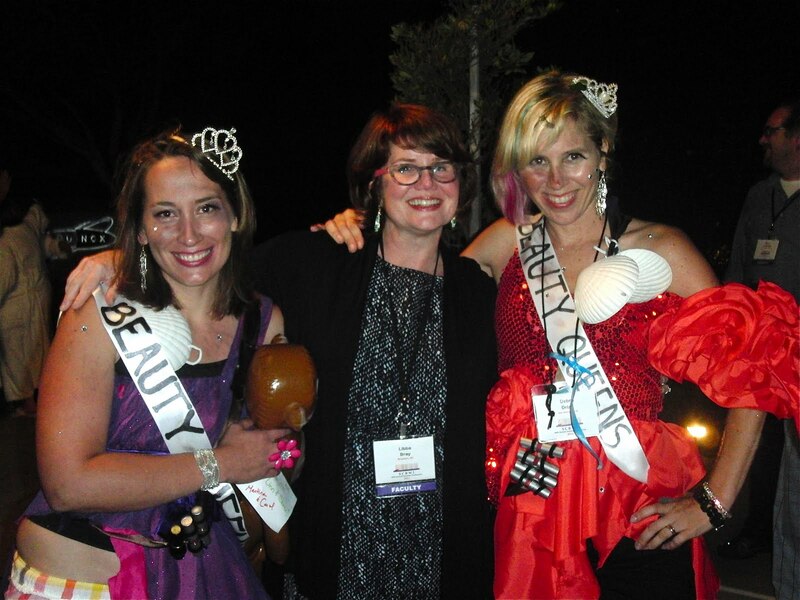 It's of me and my friend Debra Driza dressed up as characters from Libba Bray's "Beauty Queens". And that's Libba, between us, being an excellent sport. She signed our sashes and I'm using mine as a bookmark. Which reminds me, I must get that laminated. If I were to clout it now, I'm not sure it would hold up. 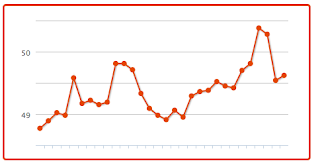 Klout sounds kind of like Google's Page Ranker..all a bunch of algorithms I don't understand...LOL! I noticed the Klout thing, myself - I'm glad someone else thinks it's bogus! The amount of subliminal marketing presented as "new technology" blows my mind. And how cool is it that you met Libba Bray! Awesome. Technological babble isn't supposed to make sense. Thus I don't worry about those charts and what not and just keep doing what I'm doing.